Today: A way to put the "cake" back in pancake, along with a very good reason to invest in egg rings. French toast is not toast, tuna salad is not salad, and no one gasps when pancakes arrive at the table, shocked to find that what they ordered is not a tower of buttercream and devil's food. Pancakes are not cakes. But wouldn't they be better if they were? Accuse me of blasphemy, you may, but pancakes are, for the most part, disappointing. Excellent pancakes do exist (see here and here for proof)—mostly the homemade variety. The hot griddle, the quick failure (premature, poorly-aimed flips of young sacrifical pancakes), the subsequent desire to persevere, and the 11 A.M. hunger pangs make homemade pancakes satisfying. 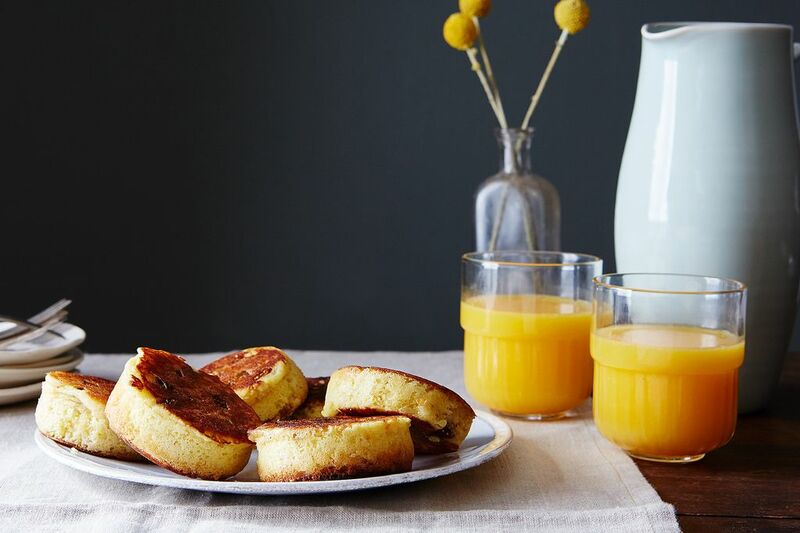 At their best, pancakes are well-earned, with burnished edges and leavened centers. But in dining halls and dim brunch places, you'll likely find smushed and anemic pancakes and just fine ones, respectively. Pancakes—even the best pancakes, even the pancakes I woke up at 8 A.M. to wait in line for three hours to order (never again! 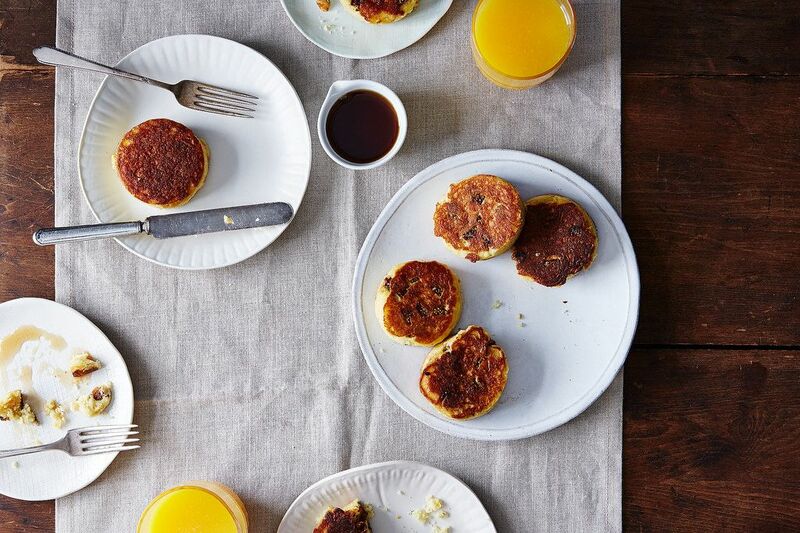 )—are never the simultaneously crispy, creamy, and airy pancakes of my dreams. That all changed with this recipe, adapted from the restaurant Smoke in Dallas, Texas. These pancakes are so tall, you'll realize the pancakes you once thought were fluffy were just standing on their tippy toes. They're so pillowy that I not only dream of them but I dream of dreaming on them. They're so crispy that you'll actually use that knife on your table. The entire top and bottom of these pancakes is what the edges of the standard sort might look like—if you're lucky (and it's your birthday, and you're having a good hair day). How is this possible, you wonder? Unfortunately, the answer is—as with a traditional cakes—hard work, patience (ugh, patience), and some annoying tools you probably don't have. Egg rings are what give the pancakes their soaring height. (Borrow them from a fancy friend or a hoarder friend.) They corset the batter, holding it close while the cakes bake in the oven (yes, just like real cakes!). You'll return the skillet to the stovetop, remove the egg rings (here's where the patience comes in—if you're too eager to lift the ring, the raw pancake top will mushroom over the sides), flip each one very, very carefully, and then brown the top side. I tried to use cookie cutters, the common man's egg rings—no success. Whimsically-shaped cutters don't allow the batter to cook evenly; round cutters could work in theory, but you'll have to figure out a way to nudge the hot metal off the pancake pre-flip. Egg rings have handy handles that make it easy. The original recipe calls for making the pancakes entirely on the stove, but our tack-sharp test kitchen manager Allison realized that heating them in the oven guaranteed more even cooking and a higher success rate. Try it on the stove, if you dare, but know that we found the oven method less risky. You can experiment with flavors and add-ins. I love the combination of fig jam, chopped dried figs, and orange zest, but the original recipe calls for lemon zest and blueberries. Try cinnamon and banana, cardamom and pistachio, or cranberry and walnut. Grease the egg rings very well and resist the temptation to fill them more than halfway. If you overfill the rings, your pancakes will explode. If they do, just let the waterfalling parts cook and proceed like nothing went wrong. I wonder if one could get similar results from making these in a muffin tin and baking. 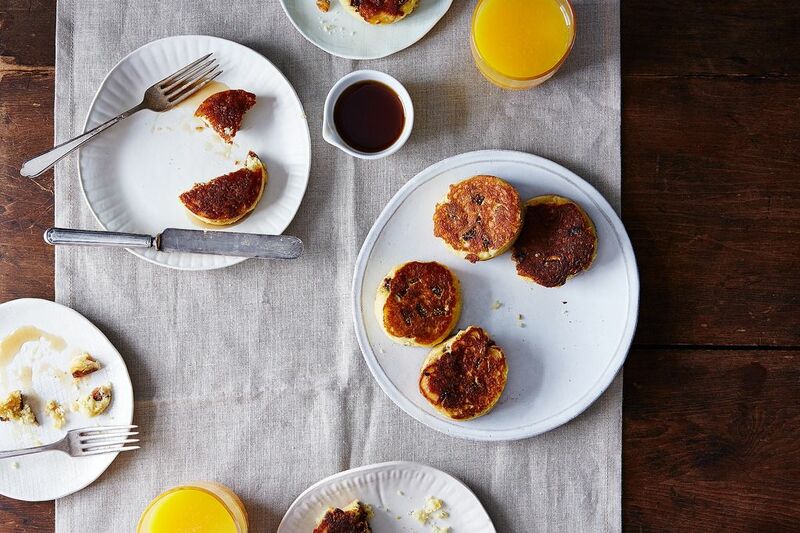 Because if you baked two muffin tins, you'd have two dozen little pancakes all hot and fluffy at the same time. Which is my issue with making pancakes, they're always great, but by the time I can sit down to eat mine, everyone else is done. Bummer. Isn't there too much baking soda in this recipe? I'm wondering about that too. Going by Shirley O. Corriher's ratios for leavening (1 - 1 1/4 teaspoons of baking powder for each cup of flour or 1/4 teaspoon baking soda for each cup of flour) it looks like both measurements are overinflated (har!). Maybe we should recalculate and test? I wanted to ask: does anyone have a BRAND of ricotta cheese they recommend? I'm in Chicago. I've never purchased it, before and would like to buy a brand others have tried and are happy with using. Thank you! These look so fluffy and remind me of Japanese hotcakes which I adore! No egg or muffin ring but will try this with my canning jar rings. English muffins turned out well so hoping for same success. Great idea to use canning jar rings! Did it work well? Food 52, please delete the last comment from me, there was a problem with the web code, and made it unreadable. The comment isn't important, so it can just go away. I had no option to delete it from my end. Thank you! I've gotta say—these are better than any flat ricotta pancakes I've ever had. Both are good, but I like these much better, especially if you're looking for something out of the ordinary. It's all a matter of personal preference, though! Wow, you had to slog through a lot of plus signs to read that (at least coming up that way at my end), thanks. I realized as I was turning my eyeballs inside out trying to reread my comment that I sounded like a troll. I am definitely intrigued, and will try the recipe (though maybe not at the next 14-person brunch, haha). What started as my good intention for teaching my dad's tricks turned into sounding like a pompous jerk. I really would like to apologize. Oh, where to begin, where to begin? 1. I have always been embarrassed that I don't know how to make pancakes, but it's the truth — more often than not, I am disappointed with the result. 2. So happy this recipe does not call for beating egg whites — I refuse to do that first thing in the morning. 3. Love that there is both buttermilk and full-fat ricotta. 4. I own English muffin rings. Hooray!! 5. I am filled with promise of finally making a lofty pancake! Will report back. PS: You and Kenzi are too cute — loved your chili video. Can't wait to try these pancakes! So glad these are exciting to you!! Don't be distressed if you lose one or two of them—they won't be as pretty as the perfectly round, puck-like pancakes you'll get later on, but they'll be just as delicious. And yes, ricotta. Always ricotta!